Wordless Wednesday–Rose Blooms To Die For! ‘Abraham Darby’ David Austin English Rose. ‘Charlotte’ David Austin English Rose. 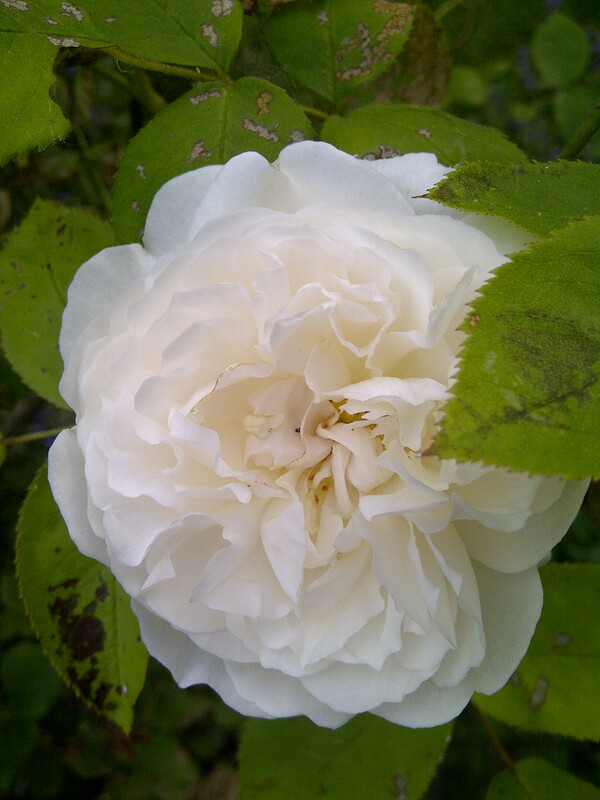 ‘Winchester Cathedral’ David Austin English Rose. 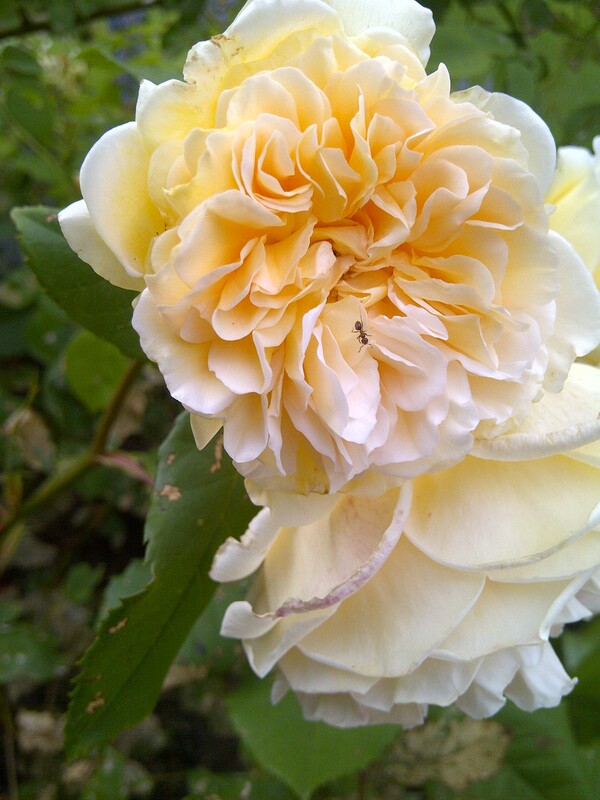 This is why I put up with that rose sawfly larva and disfigured leaves–the blooms are gorgeous and the scent is heavenly! It seems to have been a good season for David Austin roses here in NW Ct. I say was because a whopper of a storm last night tore them to shreds. I also have Winchester Cathedral, love it. Crocus is another nice one. Oh dear–very disappointing when that happens. I’ve been reading all about Margaret Roach’s trials with hail this season just over the border in NY state. We’re lucky we don’t get more of that kind of weather (yet). Luckily, in most cases, the plants seem to rebound beautifully. It’s our homes and cars that often can’t take the beating. Thanks so much for reading and commenting–and sharing about Crocus! Simply lovely! 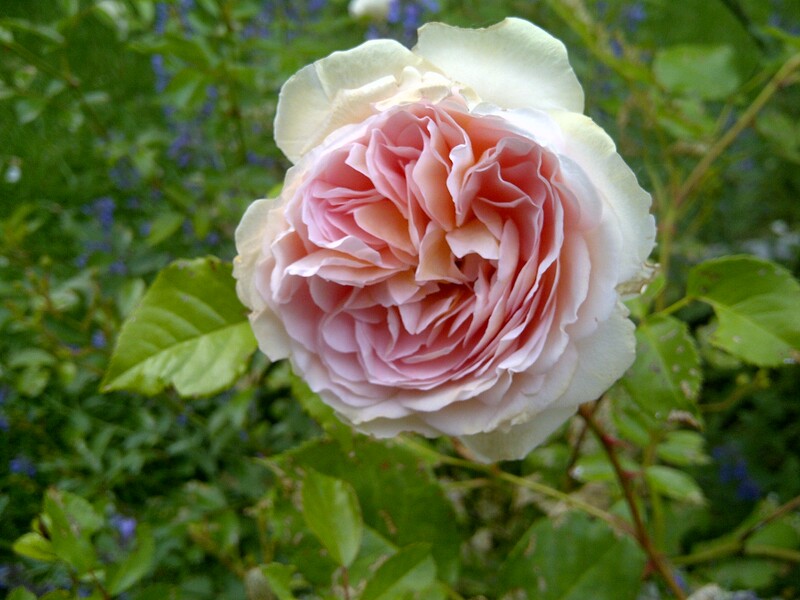 Abraham Darby roses have very interesting flowers. While I don’t grow them I do have a few clients who do and It seems to me that the color of Abe’s companion plants brings out different hues in the flowers. Interesting! I’m sure you’re right about Abe taking on different hues. I see that in Princess Madge sometimes in my own garden depending on the light and the time of the season. “Abe” was a “giveaway” plant from the garden center where I used to work. One of the end of the season things that no one wanted. Sure turned out to be a fabulous bonus for me,especially considering it overwintered in the garage that first winter!